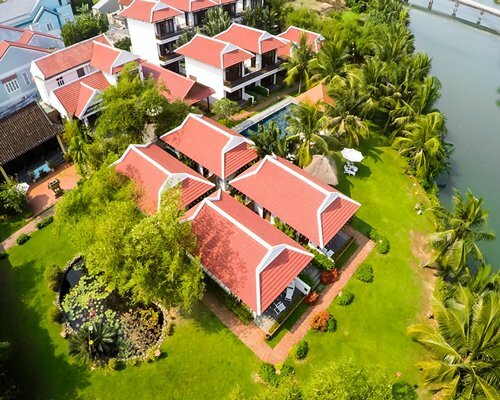 Not far from the Hoi An Ancient Town is the Karma Cay Tre Resort, which is known as the finest boutique Hoi An property. Complete with 22 rooms it occupies an area of over 10,000 square meters on the banks of the Do River surrounded by luxurious green gardens. 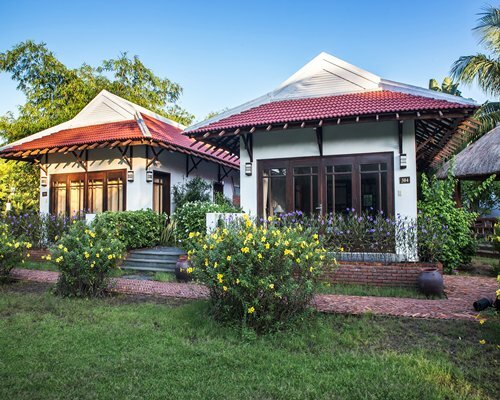 Refresh yourself in the expansive pool, enjoy specially prepared barbecues riverside and discover the secrets of the local cuisines with farm tours and cooking classes. 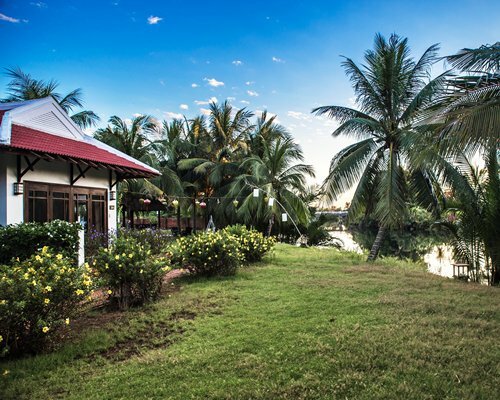 Karma Cay Tre is your gateway to one of Southeast Asia’s most exciting and up and coming destinations.In the resort, the Banana Restaurant serves traditional Vietnamese and international dishes, accompanied by a cool breeze off the river. A daily buffet breakfast is also available for our guests’ pleasure. 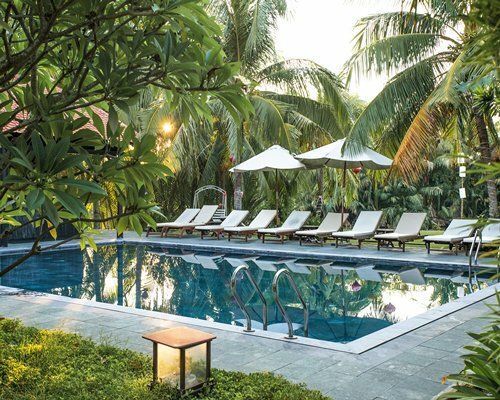 The resort also provides a barbecue at the garden or swimming pool when requested and weather conditions permit. 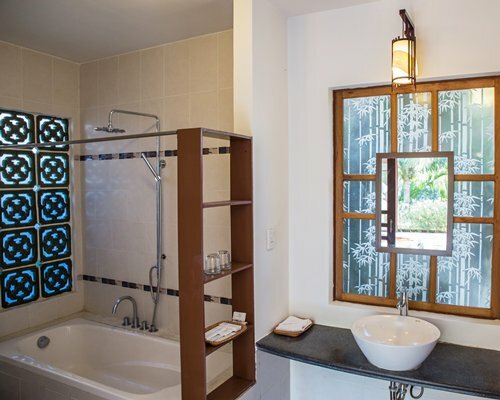 The Karma Cay Tre Resort offers fantastic, uncluttered and highly comfortable rooms. 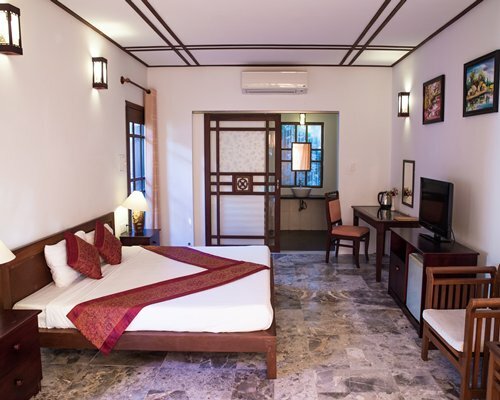 Great emphasis has also been placed on the quality of the guest room interiors and the furnishings as well. All rooms have queen or twin beds with duvets, as well as their own private balcony that provides views to either the river or the garden. Additionally, there’s a flat screen TV, mini-bar, air-conditioning and other services. 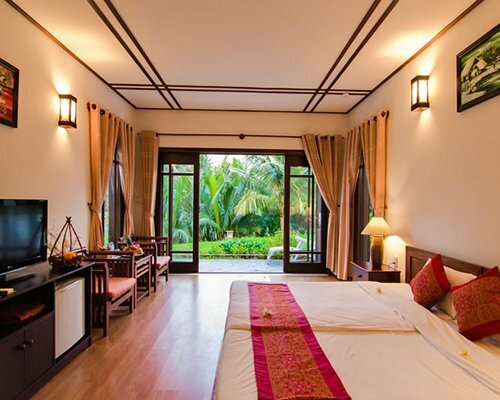 The 29.4km drive from DaNang Airport to Karma Cay Tre takes approximately 42-minutes. Transfers can be arranged through Karma Cay Tre or your Karma Concierge in advance.Alternatively, there are plenty of taxis available.